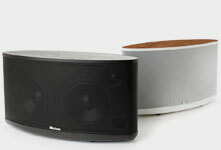 Almost everyone loves surround sound, (except for an eccentric actor whom I know who actually prefers mono!) and what’s not to love? Our ears are on each side of our head, canted forward, but we hear sounds from every direction with almost equal precision. 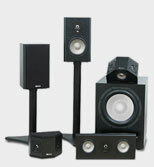 For that reason multi-channel sound reproduction is intrinsically more realistic and believable. But how many surround speakers are required to present a plausible illusion of the real thing? While Dolby Digital 5.1 (six channels total, including the subwoofer and two discrete surround channels) is the current standard for the digital audio component of digital TV and HDTV and has been the reigning surround format for more than ten years, there are increasing numbers of movies available that utilize the “extra” two back surround channels that define 7.1-channel surround sound. For newcomers, “Dolby Digital 5.1” consists of three main front channels (Left, Center and Right), the center used to anchor movie dialog and/or vocalists; two surround channels (Left Side, Right Side) and one dedicated Low Frequency Effects (LFE) channel, more commonly known as the subwoofer channel, intended to handle deep bass effects below 100 Hz, hence the “.1” designation of 5.1. So how is it there are now two additional channels (Left Rear, Right Rear) offered on virtually every current surround-sound receiver? The short answer is realism: dating back to early experiments in the 1930s by Bell Lab engineers in New Jersey, the more channels of discrete separate channels of sound used to record and reproduce music and sound effects, the greater the realism of the auditory experience. All Bell Labs could manage back then was three channels at the front, but even so engineers and listeners considered three channels “essential” to convey the realism of a live broadcast of the Philadelphia Orchestra piped via three telephone lines to an auditorium a few miles away. Leap forward 80 years, and digital recording technology makes it comparatively easy to add extra surround channels to the existing Dolby Digital 5.1-channel broadcast standard. The introduction of Blu-ray High-Definition disc technology with its huge storage capacity enables discrete channels of sound moving to 7.1 and even greater numbers. Tomlinson Holman, one of the early pioneers with George Lucas of THX sound systems in cinemas demonstrated a 10.2-channel system that I heard a number of years ago at the Consumer Electronics Show in Las Vegas, and he continues efforts to popularize that system. Even Dolby Lab’s latest “lossy” algorithm, Dolby Digital Plus, enables up to 13 discrete channels of sound. The more popular “lossless” Dolby TruHD and dts HD Master Audio systems contained on many Blu-ray discs permit 8 channels of sound with no sonic compromises. What are the benefits of adding the two extra rear surround channels to achieve 7.1, and what circumstances would justify the upgrade? The benefits are greater surround envelopment, depth, and “immersion” in the surround effects field, both for movie effects and for musical ambience, plus much improved surround coverage for various listeners seated throughout the room. One requirement for 7.1-channel surround is sufficient space behind your couch and listening area — at least 5 feet or more. If your couch is jammed up against the rear wall or you have a comparatively small room of less than about 2,100 cu. ft. (length x width x height), the addition of two rear surround speakers will not likely add significant improvements in envelopment, especially if you are already using Axiom’s QS8 or QS4 “multi-polar” surround speakers. 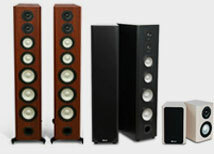 However, if you have the space behind the listening area to play with, and/or your room is medium to large sized (especially so-called great rooms and family rooms), four surround speakers will deliver noticeably improved surround envelopment and coverage for all viewers in different seating locations. While the great bulk of movie soundtracks (including all SACD and DVD-Audio music discs) are mixed in 5.1 channels, there are increasing numbers of movies (the Harry Potter movies and other movie “spectaculars”) mixed in 6.1 and 7.1 channels, including a surprising number of games. But the real justification for upgrading to 7.1 is the sophistication of smart decoding algorithms from Dolby Labs, dts, and Logic7 (the latter exclusive to Harman-owned companies). No matter how you look at it, there are persuasive reasons to consider upgrading to 7.1 channels with its four surround speakers. Incidentally, there is nothing fake or phony about electronically extracting surround data from existing 5.1 or even 2-channel stereo soundtracks. Just two microphones in a conventional stereo purist recording will pick up all kinds of out-of-phase information, which commonly characterizes ambient surround data, so re-directing those sounds to the sides and rear is really just placing them where they would occur in a dedicated elaborate multi-microphone recording array. On the road to 7.1 channels, both Dolby Labs and dts previously introduced extended surround formats that use 6.1 channels (a single rear center speaker is utilized besides the left side and right side surrounds), namely Dolby Surround EX 6.1 and DTS-ES 6.1, respectively. The presence of these formats on some DVDs needn’t confuse you (you may even have a 6.1-channel setup already) because both Dolby and DTS processors (and Logic7) will redistribute the surround information to a 7.1-channel setup so long as your AV receiver contains the necessary seven amplifier channels. Finally, the still-debated (except by owners of Axiom multi-polar QS8 surrounds) subject of what type of surround speaker is required for the extra Left and Right rear surround channels continues to surface, in part because of some control-room monitoring setups for SACD and DVD-Audio recordings, where conventional forward-firing surround speakers were used in the back channels. While there are still some who recommend forward-firing speakers for the back surrounds, I’d point out that the original development of dipole, bipole and multi-polar surrounds was to increase diffusion and envelopment in the surround field to simulate the presence of 8 or 10 surround speakers in a large cinema. 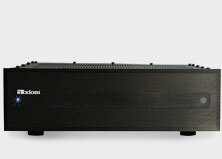 As such, the Axiom QS8 (or QS4), with its top and bottom-firing woofers and angled dual tweeters comes as close to the ideal for both ambient sound field generation without giving up the specific directional cues sometimes found in movie soundtracks and multi-channel music recordings.